Vertical Autoclave Triple Wall is electrically heated sterilizer under saturated steam of Adjustable pressure of 10 to 20 psi. Triple Wall construction with boiler & steam jacket is made of thick stainless steel and gap is filled with high grade glass wool to bring the temperature to a minimal level. The lid has thick Stainless Steel Radial Locking System and can be sealed by a jointless neoprene rubber gasket. 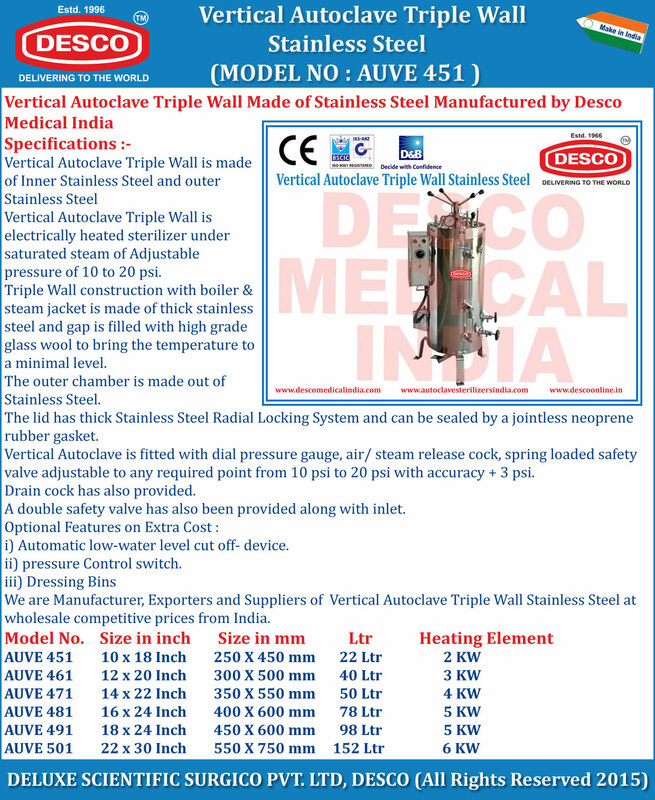 We are Manufacturer, Exporters and Suppliers of Vertical Autoclave Triple Wall Stainless Steel at wholesale competitive prices from India.